Maybe its previous banger “Bboom Bboom” was too powerful, or our expectations were too high. 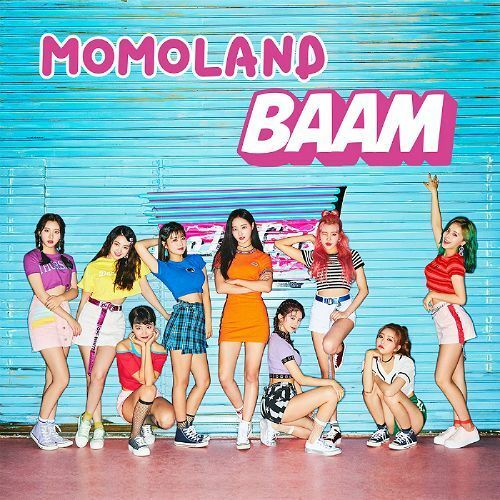 While Momoland’s attempt to build on its newfound popularity with a song that echoes its past hit seems pretty reasonable, considering the rookie’s need to solidify its musical concept, the act’s new single “Baam” is an outright replication of “Bboom Bboom.” Specifically, the lead track off its “Fun to The World” EP feels like an immature version of “Bboom Bboom,” failing to follow in the footsteps of its glorious predecessor. Produced by Shinsadong Tiger, the creator of “Bboom Bboom,” the electro-swing song uses backbone tunes and structures that have been slightly altered, or toned down, from its past hit. The quirky song also shows some similar retro fashion of T-ara and Orange Caramel that had hit the K-pop scene few years ago, but it’s neither catchy nor infectious enough to set fire on the bygone trend. Furthermore, the vocals still lack the “funkiness,” an essential element that breathes life into such retro style music. Enough with the “Bboom Bboom” remnants, as the group attempts a change of mood with “Veryvery,” a glittering and groovy Nu-disco dance number that has a better earworm potential than the lead track. The five-track album also offers sweet Japanese anime tune, which has become an ongoing trend among K-pop girl groups, with “Bingo Game” while the breathy vocals of the lighthearted pop ballad “Only One You” will give some relaxation to weathered souls. Once again, rehashing past glory is not a bad tactic to this budding group. But whether Momoland will keep on rolling or go down the tailspin like Crayon Pop, which saw its demise after reaching its musical impasse, depends on what kind of music it brings out next time.